Medima was founded in 2004 by three shareholder whereas the main one is Mr. Maciej Grabowski- the president of managing board. He has been engaged in designing and production of infusion pumps for more than 30 years. The office as well as the production facility is located in Warsaw, Poland. We are a manufacturing and trading company dealing with the production and sale of syringe and volumetric infusion pumps, docking stations, infusion stands, accessories for infusion pumps and medical software. 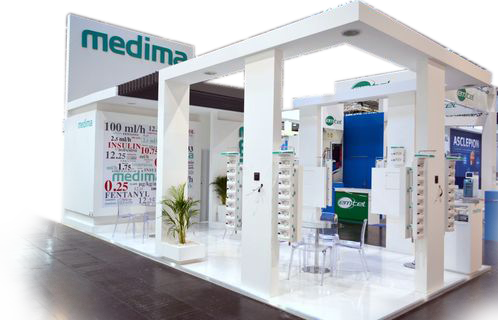 At the beginning Medima produced and marketed syringe infusion pumps only. The production of models S, S1, S2, S-PCA started in 2005. In 2009 the company started the production volumetric infusion pumps models: P, P1, P2. Products have been well received by the market. In Poland they gained 30% of the market competing with all leading world manufacturers of infusion pumps. The total quantity of both syringe and volumetric pumps sold by the end of 2017 amounted to 50,000 units.